If you are a contemporary homeowner, it is quite likely that you would want to purchase a house which fits the modern times perfectly. It should be able to accommodate your fast lifestyle and provide you with all kinds of conveniences. After all, you have invested a lot of money in your house. That is why home automation could be the answer to all your demands. Right from the climate to the lighting, you can control every aspect of your house with just one button of a remote if you install this kind of a system at home. We, at JMG Audio Video Inc, can offer you a highly advanced and state of the art equipment like the Control 4 systems which will be a central operating system to ensure you get maximum control in your house. So, if you are located in areas like Alpine NJ, Franklin Lakes, Ridgewood NJ, Saddle River, or Tenafly, you can resort to us without hesitation. Here, we have put together a few important tips you might need before automating your homes. Take a look. 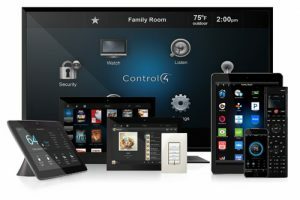 You should make sure that the company you are resorting to can offer you the latest technology so that you get all the modern and updated features in your home automation system. So, pay attention to the technological aspect before making a purchase. Next, you should never make a purchase randomly. Always take suggestions from people who are into technology and have the right knowledge. You should also go through the reviews and ratings of people to be absolutely sure about a product. Lastly, you need to make sure that you compare the prices of the system before you take a decision to ensure this is the lowest that you can get. Take advance quotes and start your survey. So, if you think we can be a good choice after going through these tips, contact us immediately.